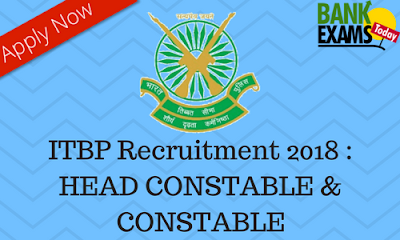 INDO-TIBETAN BORDER POLICE(ITBP) has recently released the notification for Head Constable (Motor Mechanic) & Constable (Motor Mechanic). 10+2 pass from a recognised Board or Institution. Certificate in Motor Mechanic from a recognized institution or Industrial Training Institute with three years practical experience in the trade in a reputed workshop or three years diploma in Automobile Engineering. Industrial Training Institute certificate in respective trade from a recognized institution OR Three years experience in respective trade from a recognized firm.